Ross Greenwood has covered business and finance in Australia and around the world for more than 30 years. 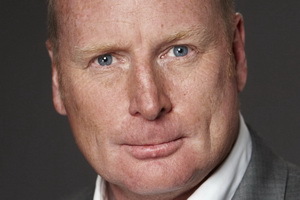 He is the Nine Networks Business & Finance editor and works across National Nine News, A Current Affair and, occasionally, 60 minutes. 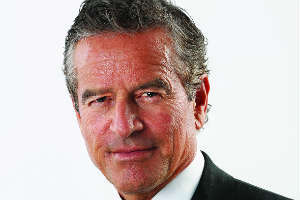 Ross was formerly co-host of Nine's former flagship current affairs program, SUNDAY. His assignments for Nine have taken him around the world, from Europe and the Middle East to Japan, China and the U.S.A.
You can hear Ross each night on his radio program “Money News”, which is broadcast through the top-rating Macquarie Radio network including 2GB Sydney, 3AW Melbourne, 4BC Brisbane, 2CC Canberra and regional stations. Before joining the Nine network, Ross was in London where he set up a business magazine and website. He was a regular commentator for BBC Television, CNN, Sky News and Bloomberg. He was also a regular co-host of BBC Radio Five Live’s main business program, Wake up to Money. He has experience as the chairman of the Investment Committee for the Media industry superannuation fund and as a director of a stock market listed investment company. His television experience extends back to the 1990s, with the pioneering Australian lifestyle program on the Ten Network, Healthy Wealthy & Wise. With his vast knowledge of the financial market and current affairs, Ross is highly sought after as an MC/Host, Facilitator and Keynote Speaker.